One strategy for addressing violence and conflict is a public health approach. 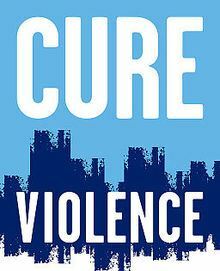 The Violence Prevention and Restoration (PAR) Model, developed by the International Center for Compassionate Organizations (ICCO) explains how violence begins, spreads, and infects others almost like a "thought borne" pathogen or virus. This KNOW NOW program will feature Ari Cowan and Tony Belak, Director General and Associate Director of ICCO. They will discuss how the proliferation of international conflicts and violence in communities can be prevented by utilizing the PAR Model. Xiao Yin Zhao, Executive Director of the World Affairs Council of Kentucky and Southern Indiana, will host this program.